Car dealers get a bad rap around here. And to be fair, maybe some of them deserve it. 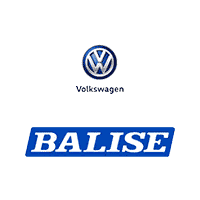 But at Balise Volkswagen, we’re committed to our clients 100%, start to finish. From helping you search our inventories, to making service drop-offs and pick-ups convenient and easy, to guiding you in your search for the perfect performance upgrades or accessories for your car–you can trust the Balise Volkswagen team to always have your best interests at heart. We want you to forget everything you ever learned about car dealers in West Warwick and the surrounding Providence areas, and let us show you what a first-rate dealership experience can really look like. We know that, for a lot of people, working with a dealership can be stressful. But what if it were like dealing with friends? Or your trusted neighbors? As a close community partner of areas like Providence, Wakefield, Pawtucket, Cranston RI, and Attleboro MA, the Balise Volkswagen staff is made up of exactly that–friends, family, and neighbors of local drivers from all walks of life. That means that when you make the trip out to visit our West Warwick dealership, you can say “goodbye” to typical salesman pressure, to showroom stress, and to the smoke-and-mirror game. Because at Balise, we treat all of our clients like the friends and neighbors that they are to us. There are a lot of places to buy or lease a car in Rhode Island, or to get an oil change, or to buy new auto parts. But there’s only one Balise Volkswagen.